Home Religious Liberty Will Pope Francis have a ‘brief’ papacy ? Has Pope Francis suggested that he may resign his papacy like his predecessor, rather than remain at the Vatican for life ? The pontiff made the following comments during an interview with Mexican television, marking the second anniversary of his election. “I have the feeling that my pontificate will be brief. Four or five years; I do not know, even two or three,” he said. 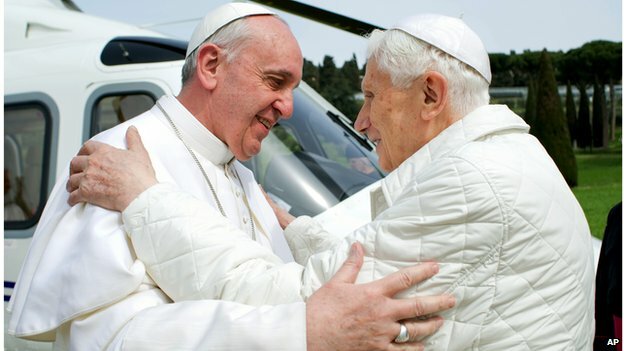 Reporters have asked Pope Francis on at least three occasions whether or not he intends to follow his predecessor Benedict XVI in retiring. On each occasion, the Pope has answered with roughly the same words. 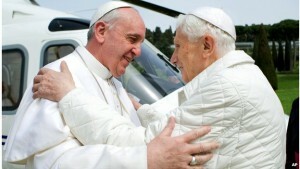 But the Pope also makes it clear that he will stay in the job as long as he has the physical strength to do so. His interview with Mexican TV makes it clear that he still enjoys his papacy. “Do you like being Pope?” the reporter asked. “It doesn’t displease me!” the Pope replied. Does the Pope know something that the world does not ? Will Rome introduce a new Papal leader in the near future ? For the full story, see the BBC coverage – http://www.bbc.co.uk/news/world-latin-america-31875507 .